Keep The Air in Your House Cool with Far Less Energy Than an Air Conditioner with This Amazing Portable Evaporative Home Cooling System. Here We Offer One of the Best Oscillating Indoor Stand Up Swamp Coolers, with Digital Timer, Remote Control & Space-Saving Design, For Sale at a Cheap Discount Price with Free Shipping! 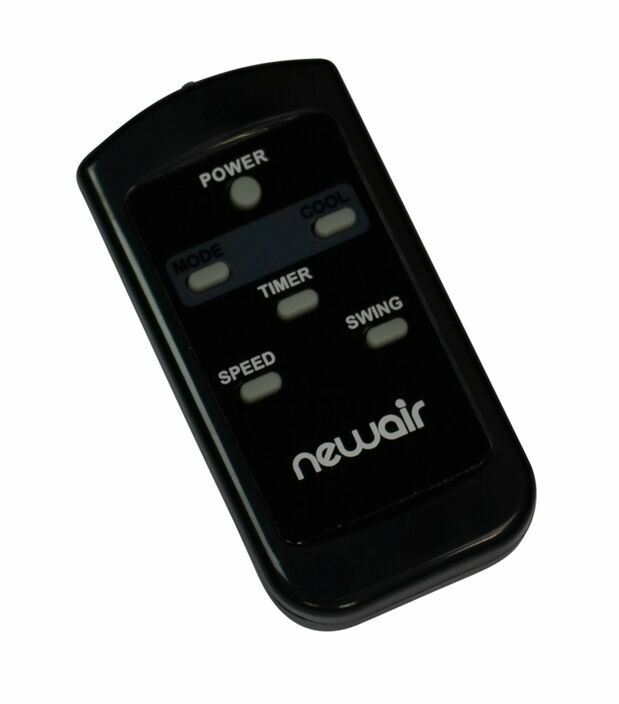 Save money while cooling off by using the NewAir AF-310 100 sq. 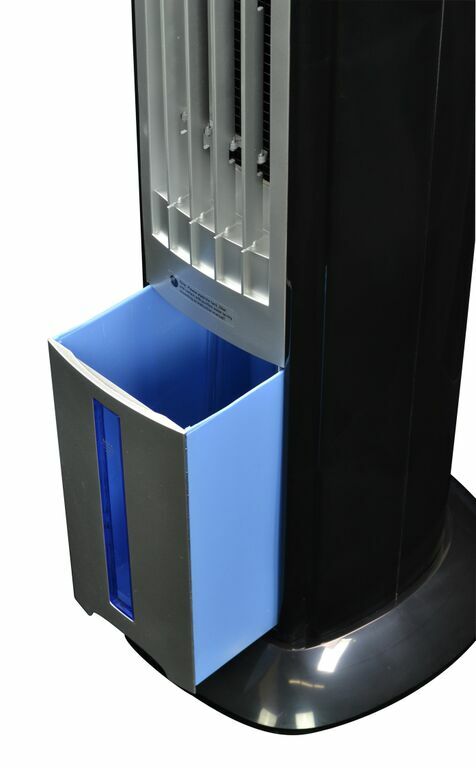 ft. evaporative tower cooling fan instead of a typical air conditioner. 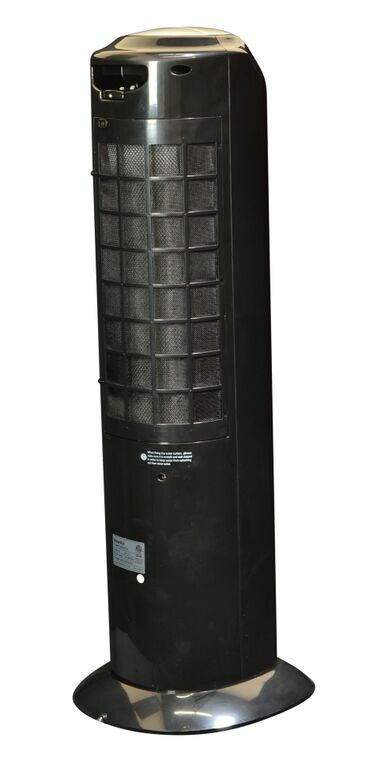 This tall and sleek AF-310 tower fan is designed with a triple feature usage. 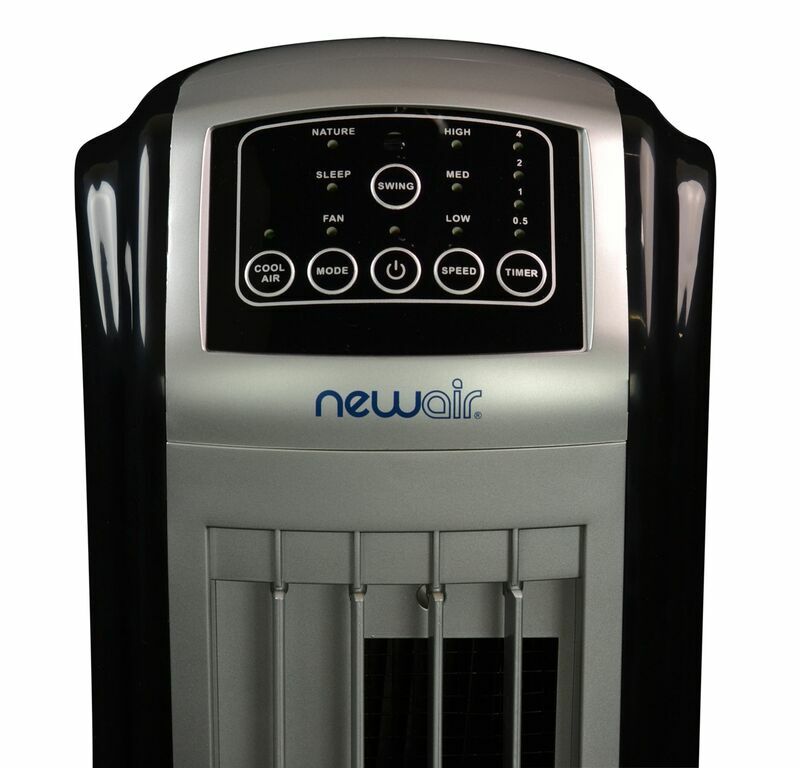 The high-rise NewAir AF-310 can also be used as a swamp cooler, humidifier, and air purifier all in one! Alongside the numerous features that are accustomed with this multi-functional cooling unit, this NewAir fan also provides a 60-degree oscillation benefit to improve air circulation for a wider area. The AF-310 electric tower fan includes a purposeful remote control and an electric timer for your convenience. Besides using the NewAir AF-310 air unit to cool off, take full advantage of the evaporative cooling fan by using the swamp function to circulate fresh and slightly damper air. Stay clear free from allergies with the humidifier, and keep the airflow clean and fresh with the air purifier. Enjoy a wider array of airflow as the NewAir AF-310 cooling fan provides a 60-degree oscillating circulation of air and 312.37 CFM to continuously improve ambient temperatures across a 100 sq. ft. area. Evenly distributed airflow helps reduce the indoor temperature by up to 20 degrees F.
The NewAir AF-310 air cooler is most effective in dry, arid environments. Adding much needed moisture to the air, it cools and improves the humidity level in the home. If you're experiencing excessive dryness and want to reduce the ambient temperature in your home, this is a great way to do it. 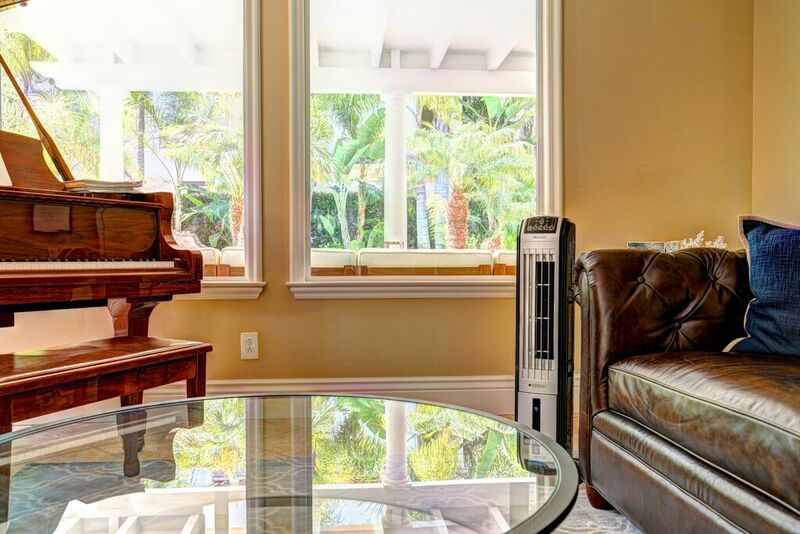 This evaporative cooler is handsomely designed to fit right into your home decor. It creates a cooler environment, and yet it looks good when in use. The slender design fits in small spaces easily, plus, it's lightweight so tranferring it from room to room is a piece of cake. 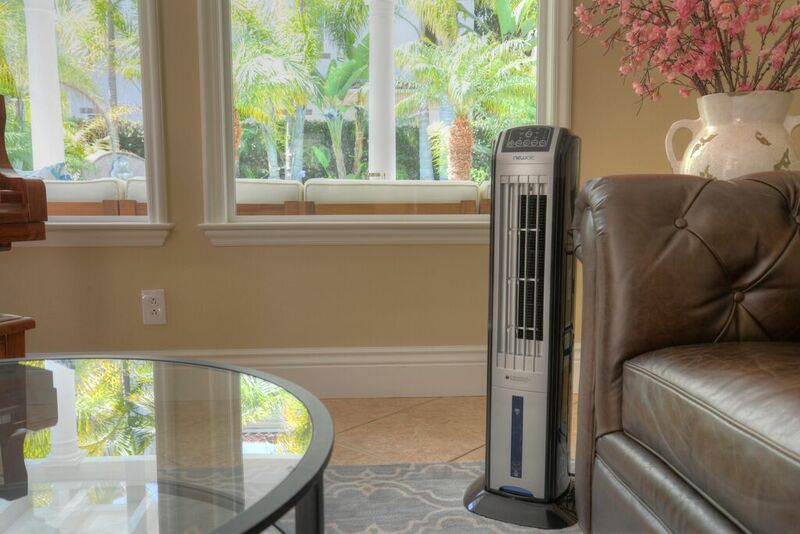 The Newair AF310 evaporative cooling fan is perfect for any indoor area, and it's especially good for dry climates since it cools the air and adds moisture at the same time. Order yours today! 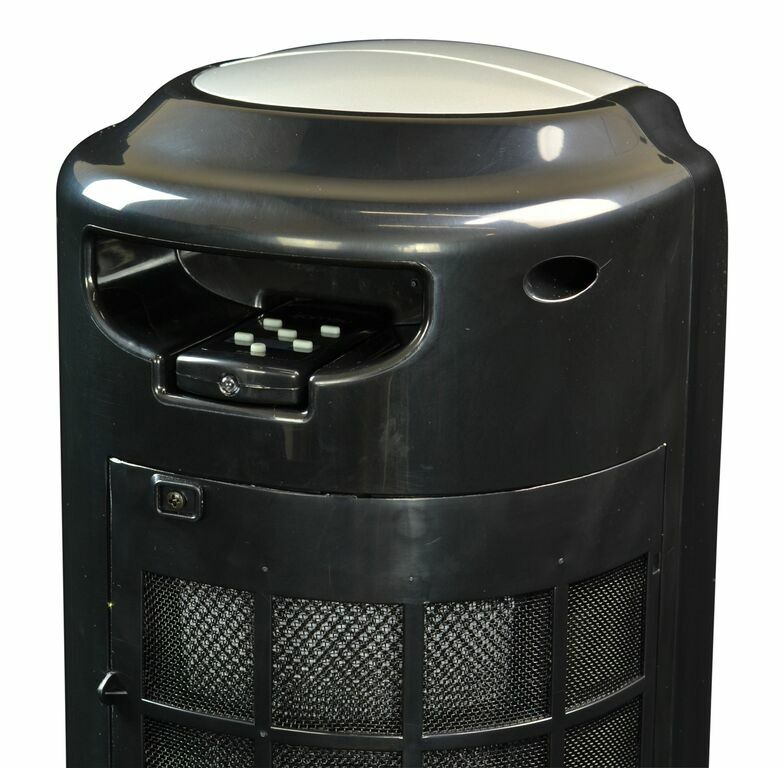 Air Purifiers and Cleaners.com offers one of the best selections of quality portable evaporative coolers on the market today, with high-performance and excellent customer service. Our extremely low overhead enables us to offer all of our products at the cheapest, discount prices possible, with free shipping--so you know you're always getting the best deal! Our team of experts are always on hand, as well, to answer any questions you may have before and after the sale. Call us today toll-free at 1-800-701-2513. We're here to help! Product Dimensions: 11.38" x 12.63" x 34.50"